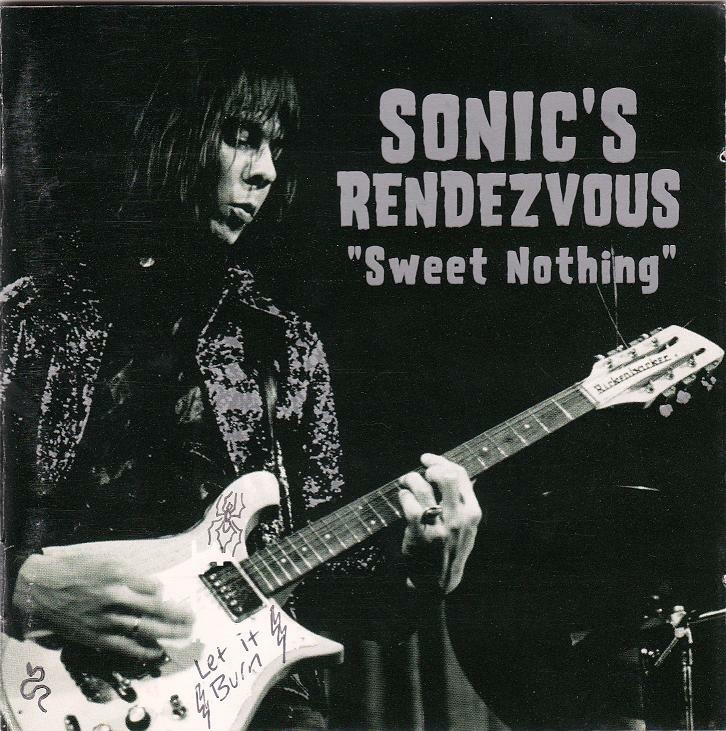 Sonic’s Rendezvous issued this live recording from 1978 twenty years later in 1998. 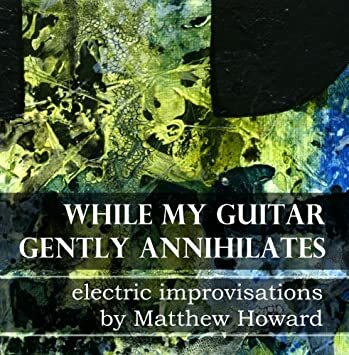 It features the late Fred “Sonic” Smith of the MC5, Scott Asheton of The Stooges, Gary Rasmussen of The Up, and Scott Morgan of The Rationals. It’s a bit of a who’s who of Ann Arbor rock and roll legends. 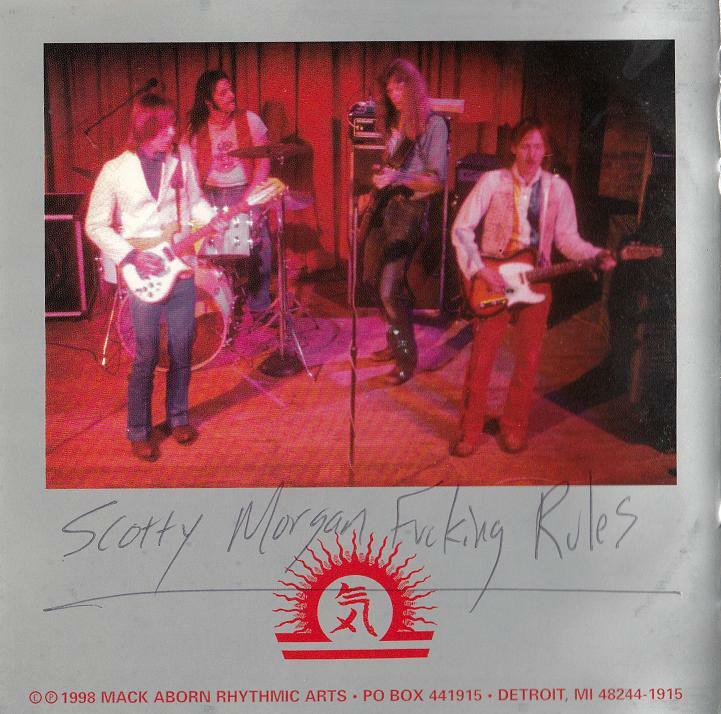 Though we can’t recall exactly when and where we purchased this disc in Ann Arbor in 1998, it might have been at one of Scott Morgan’s live shows. We caught him once at a basement party in the house of a friend from the radio station (WCBN), and perhaps once or twice at Club Heidelberg. 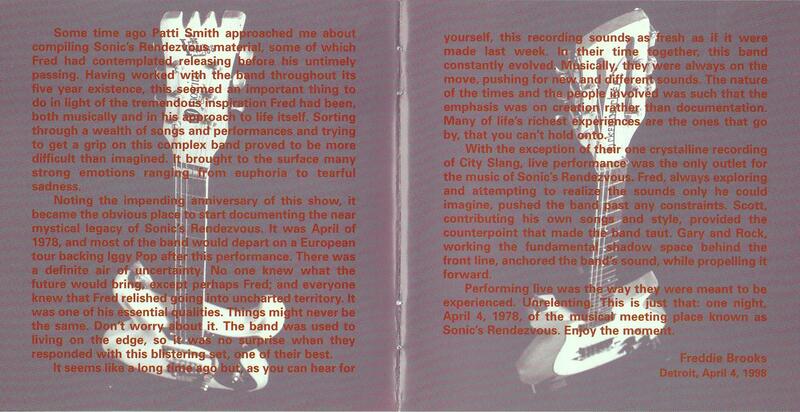 If there is any doubt as to whether or not Scott Morgan’s blues-driven rock guitar impressed us, the not-so-subtle handwriting on the last page of the booklet should clear that up. It looks like we added our own graphics to Fred’s guitar on the cover, too. 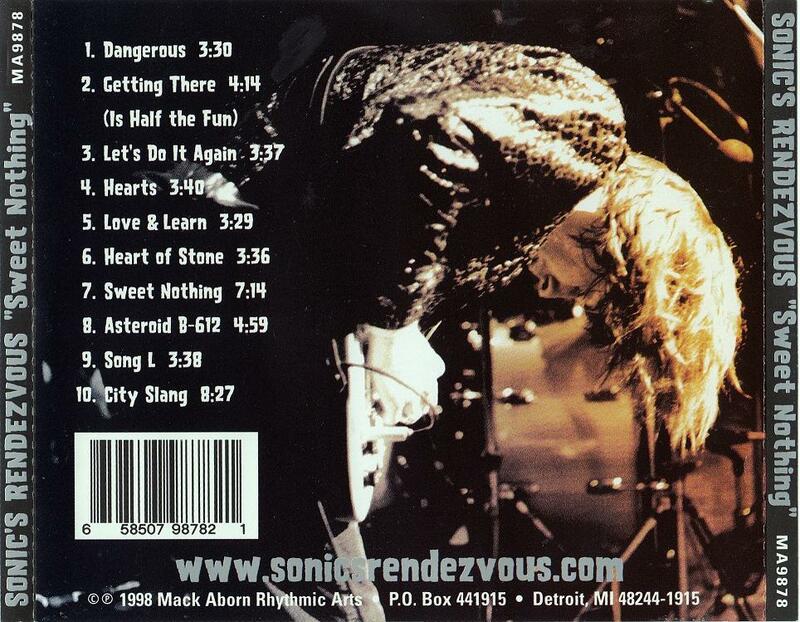 Despite our enthusiastic vandalism, this album remains a favorite memento of Ann Arbor’s rocking musical history. Check it out. 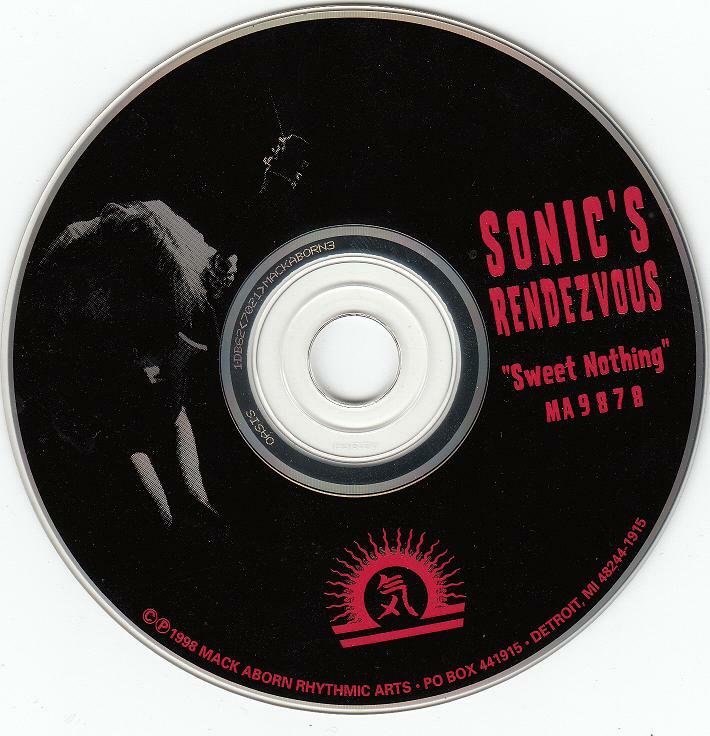 You can find it on Amazon in CD, MP3 (only $8.99), or vinyl as Sonic’s Rendezvous Sweet Nothing.